Say the words Group Exercise to most PTs and it conjures up images of lycra-wearing females rhythmically exercising around a studio on a step obediently and expertly following their class instructor. Now this may have been in the 80s, but it certainly isn’t now, and provides an excellent place where you can grow your PT business. “What are you talking about, there’s 40 people in the club right now” I challenged him. “Yeah but most of them are in the indoor cycling class” he replied. He did this for a couple of weeks and 3 people signed up with him, for no other reason than the above! 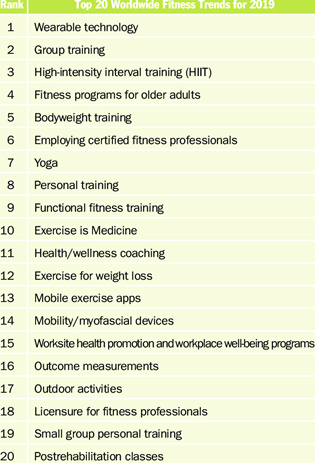 Group training was 6th on the ACSM fitness trends in 2017. It is now number 2 in 2019. The group exercise studio isn’t a place where just step aerobics or body pump or Zumba happens. The studio is a place where 50-70% of your members will regularly go, and if you are not a feature in that studio in one way or another, you are missing a huge opportunity to grow. Firstly, teach classes. I assume you got in to this industry to help people achieve result. If not, you are in the wrong job! Teaching a studio class helps you impact 20 or more people in an hour rather than just one! If you aren’t comfortable teaching classes, get comfortable. Seek help from experienced instructors and ask them to support you, attend their classes and maybe team teach with them to build confidence. There are also a great range of courses that help you with instructor skills. In the UK, EMD is the national governing body for Group Exercise and have a fantastic range of courses to help you develop. You can find out more about them here https://emduk.org. Teaching a class will give you visibility and help you build “know, like and trust” with multiple people at the same time, building those relationships that will help you gain clients. But just teaching doesn’t mean people will ask you for personal training. I hear a lot of PTs finish their class with a desperate “If you want PT, come and speak to me after the class”. This rarely, if ever, leads to people approaching you for help. You see, they are in their because they LOVE training in groups. Why would they want to train with you 1-on-1? The above works every time. Don’t do it too often, as it will lose its effectiveness. Now for the savvy ones reading this, you may have spotted an even smarter way to do this. Remember the numbers that were taken by members that fit your target market and then call those numbers out at the end. That way you guarantee winners that fit in to your ideal client niche. 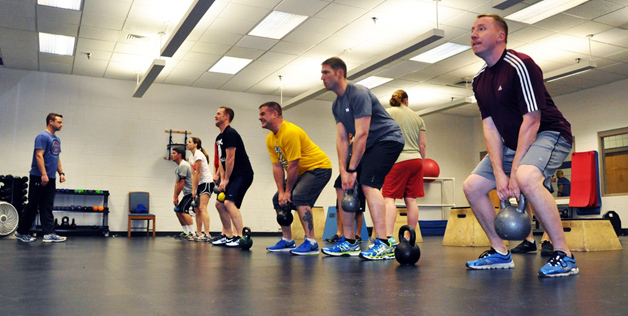 As mentioned above, people go to classes because they love training with others. Training in the gym by themselves or with a PT just doesn’t appeal to them. Telling them that classes “aren’t specific to your goals or personal enough to you” won’t suddenly make them sign up with you. If anything, it will turn them against you. Make sure you offer group PT as a service. This will not only give them the camaraderie they require, but will also earn you more money. Instead of one client paying $40/hour, you could have 4 people paying you $20 per session in your group PT earning you $80/hour instead. Think about the value you deliver as a PT and make it scalable to a group environment. Spending all of your time on the gym floor hunting for clients is not an efficient way to gain clients. 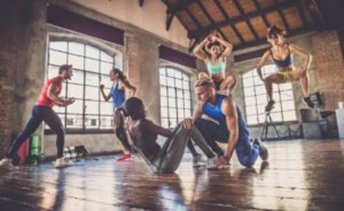 Group exercise has never been more popular and with the majority of gym users going to classes, it makes absolute sense for a PT to have a presence in classes. Follow the above pointers and watch your PT Business grow. Dean Zweck, BSc, CPT, has been in the industry for 17 years with 13 as a personal trainer. 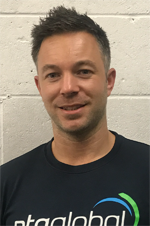 For the last 7 years, he has been the lead educator for PTs in the UKs largest commercial gym chain, as well as successfully owning his own PT business. Dean's passion is helping trainers acquire all the tools so they can get clients, train clients and keep clients. The three core skills all successful PTs need to have. In his spare time, Dean is a bit of an adrenaline junkie competing in OCRs with Europe's Toughest Mudder on the agenda for this year, plus engaging in mountain biking and rock climbing.